The students won in the categories of Graduate Value – based on the risk adjusted performance of the $415,000 Shollmier Fund – and Graduate Growth – based on the $5 million fund that students manage on behalf of the University of Arkansas Foundation. More than 1,500 students from 48 states and 54 countries, representing 160 universities and colleges, attended Quinnipiac University’s Global Asset Management Education Forum GAME IX in New York on March 27-30. 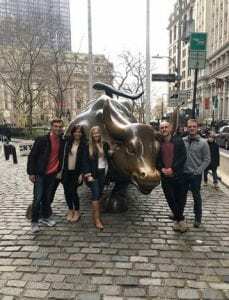 It is the world’s largest student-run finance forum and includes the biggest student managed investment fund competition. 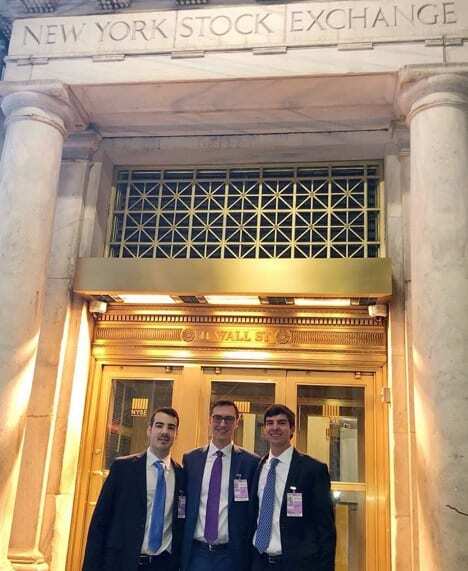 The Walton College sent a team of 15 finance and accounting students, including one industrial engineering student, from the Portfolio Management class, Shollmier MBA/MACC Fund class and Energy Finance and Risk Management class to participate and compete. The portfolio manager for the Portfolio Management Class, Blake Middleton, asked a question of keynote speaker David Kelly, Chief Global Strategist, J.P. Morgan Funds, about the merits of international diversification. Shollmier Fund and MACC student Jake Ellis led a student team consisting of Portfolio Management Class students Ally Davis, Ian Djurica, Florian Hartfelder and Jessica Keith, and Energy Finance students Nathan Bentley and Ethan Samuels, in presenting their security analysis of ConocoPhillips stock and summarizing risk adjusted performance of the funds entrusted to them. 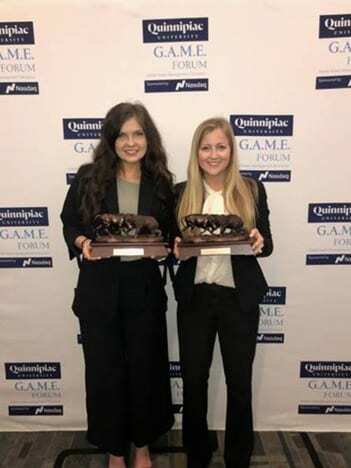 Although previous Walton College teams have won such awards in the past – including GAME III Graduate Hybrid Funds, GAME IV Graduate Value Funds, GAME VII Graduate Value Funds, and GAME VIII Graduate Growth Funds – this is the first time Walton College teams won two different awards for two funds simultaneously in the world’s premier student managed investment competition.